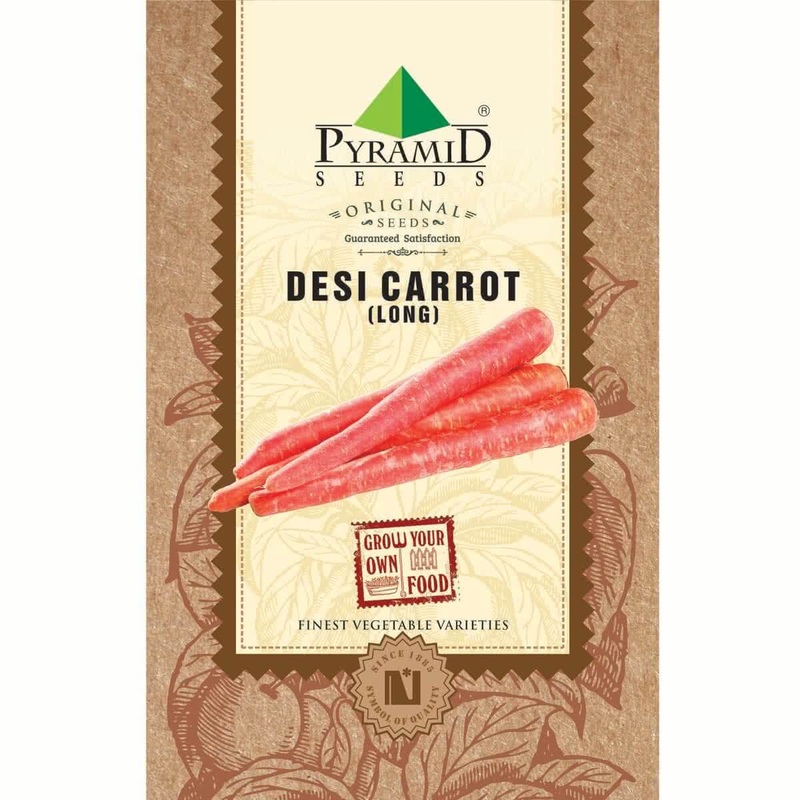 Desi carrot is a rich source of Vitamin A, good for healthy eyesight. Regular consumption of this vegetable prevents from infection and improve immune system, memory and protects from depression. Read more on How to grow Carrots? 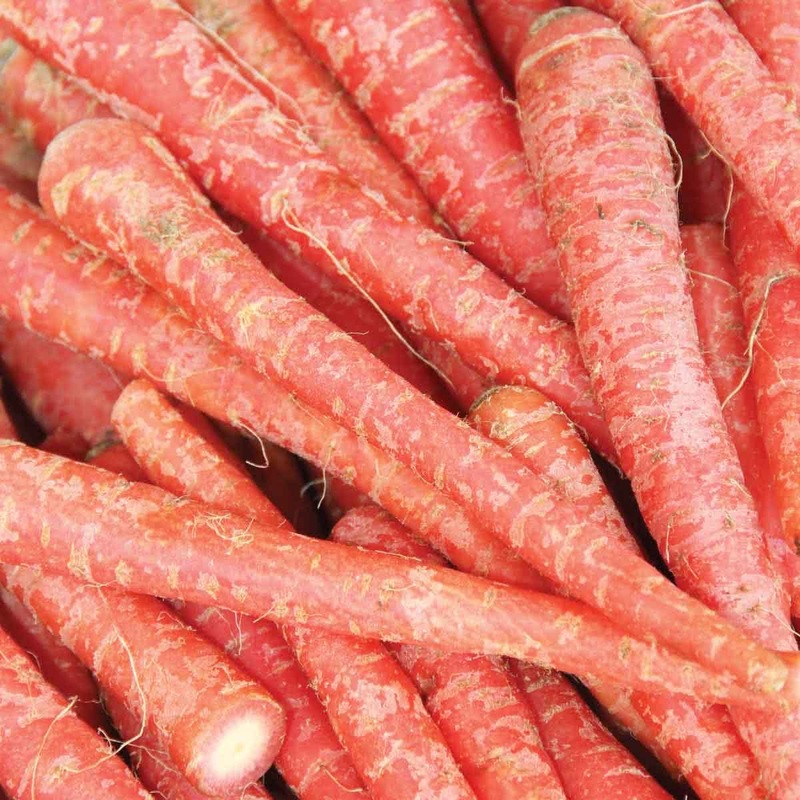 Introduction and Uses: Carrots are one of the most widely grown vegetables globally; because they are relatively easy to grow and are extremely versatile in many dishes and cuisines. The health benefits of this superb veggie include lowering cholesterol levels, prevention of cardiac attacks, improved vision, lessen signs of premature ageing. They also increase the skin's health, boost immunity, improve digestion, detoxify the body, stimulate oral health and provide a wholesome influx of vitamins and minerals. Sowing Season: Monsoon & best grown in winter. Sowing method: Sow the seeds directly on raised beds or in containers. Sowing container: Choose a container with a minimum depth of 12-14 inches & bigger spread area (according to available space & your requirement) like the deep rectangular containers. Make shallow holes (1 cm) with a distance of 1 x 1 feet throughout the surface of soil medium. Watering: Water your Carrot container / raised bed every day in the form of a light shower with watering can. Use sprinklers for watering the Carrot plants outdoors. Plant care: Look for the early signs fungal infection / insect infestation. Spray appropriate medicines as soon as any symptoms are visible. Planted them in my greenhouse.Got very slow results,germination was late as it is winter variety seeds.Now growing good.